Imagine waking up one day to find that everything is a little bit different. You get dressed, clean your teeth, eat a banana and leave the house, but as you do you realise that Mum’s usual morning note isn’t there. There’s a familiar white scrap of paper, but it’s blank. Then the phone vibrates. It’s a message from your friend saying they’ve received a load of birthday cards but none have been written in. Is this what a world without written words would be like? 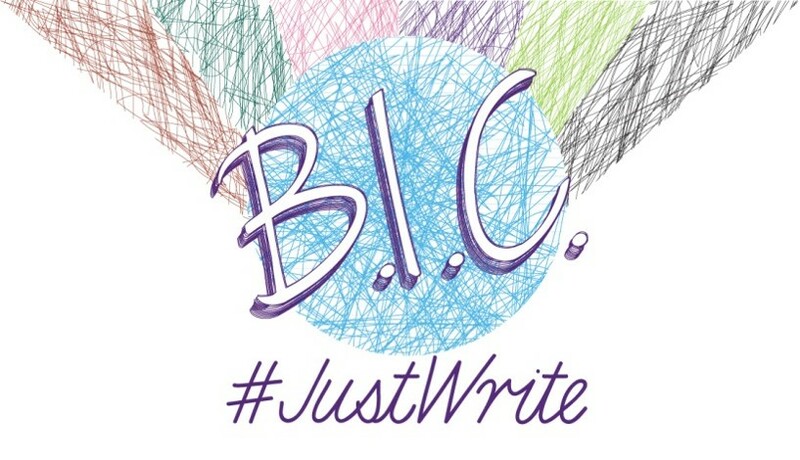 As the first part of its 2016 #JustWrite campaign, BIC is asking teenagers across the country to imagine just this by launching a creative writing competition designed for secondary school pupils in the UK. How would you jot down simple notes for your parents and siblings, leave a meaningful birthday card for your friend, or fill out all of those boxes on your exam paper? Partnering with writing and mentoring charity, Ministry of Stories, the power pen brand is giving schools the chance to win a creative writing workshop for their class with the highly regarded team at the charity, who work to help young people discover and realise their own creative potential. The winning entry, and two runners up, will be awarded with the accolade of becoming an ‘Assistant Features Editor’ and ‘Junior Assistant Features Editors’ respectively, and their entries will be published in the B.I.C., a unique, free title for teenagers published later this year. The competition is open to students in years eight, nine and ten and all they need to do is conjure up some creative spirit to handwrite an answer to the question: ‘What would waking up in a world without words be like?’ in no more than 500 words. The creative writing competition closes on Monday 6th June. Ten other shortlisted finalists will also be selected to win an individual gift pack, courtesy of BIC and Ministry of Stories and winners are due to be announced on 14th July 2016. For more information, please visit http://ministryofstories.org/bic-creative-writing-competition/ or join in the conversation on Twitter @mybicpen.